Coral Springs Landscaping Services, Experts in Lawn Care and Maintenance! 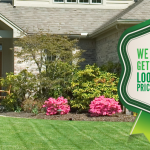 If you’re a Coral Springs resident and you want your lawns really looking good, High Performance Lawn Services-Coral Springs Landscaping Services will get the job done, employing expert lawn technicians using the latest in mowers, sprinklers, and other landscaping equipment. The average rainfall in Coral Springs is very conducive to plant growth. April to September has a high rainfall incidence with January and February being the driest months. Even at these months rain still averages 2.3 inches,7.3 inches from March to June. Coral Springs Landscaping Services will keep your backyards and front lawns in perpetual green, bedecked by colorful flower beds in the corners, around the trees, and lining up the edges; all vying for your attention. Rains are either boons or banes for the garden. If you leave your lawn unattended, the steady supply of rain water will transform your lawn into a mishmash of wayward grass overgrowths with plants growing out of control rioting among themselves. Your garden will resemble a mini jungle. Our first consideration is what your family wants. Do you have specific plans in place? The role of Coral Springs Landscaping Services is to actualize your plan and bring it into reality. You may have sketches or drawings to this effect that we can follow. It’d be nice to sit with you to discuss your plans over a cup of coffee or cold juice in our office with some bagels to nibble on. Or we can ask our Coral Springs Landscaping artist to do the sketching while you’re doing the describing. Another possibility is you giving us a general description and we will take it from there. Landscaping is a job for professionals. It requires a lot of time and effort from planning to execution and then maintaining. Coral Springs Landscaping creations have a sense of permanence in them. They’re designed to last for years, until you as their owners decide to give them another vista. Meanwhile, what we do is to populate your lawn with a wide variety of plants, trees, vines and shrubs among others. Our Coral Springs Landscaping horticulturists will see to it that the plants perfectly complement each other. The green lawn, colorful flower beds, and the trees are the stuffs that gardens are made of. The job revolves around them. Maintain them and your garden will look great, anytime. Our Coral Springs Landscaping Services include lawn mowing, tree pruning cutting or uprooting, sodding, hedges trimming and more. These are the tasks responsible for supporting our landscaping efforts. We always treat every landscaping job as a challenge. Not because they’re a difficult task but because Coral Springs Landscaping Services are eager to share with you our ability to cook up the perfect lawn. We can work around and over your pergolas and gazebos or other outdoor structures to infuse them entirely into the landscape. They’ll make a great addition to your entire landscaping effort. Our plant selection will definitely enhance their appearance without alienating their presence. High Performance Lawn Services-Coral Springs Landscaping Services will make your lawn a one big beautiful park where you can fully enjoy what Mother Nature has to offer.